Due to the massive size and weight of semi-trucks and other large or oversized vehicles, there’s little chance of walking away unharmed if you’ve been in a truck crash. The size, weight, and momentum of a moving truck can quickly lead to tragic consequences when truck drivers fail to operate their big rigs safely. If you or a loved one have been injured in a truck accident, call our injury firm at (815) 289-3209 to discuss your legal options with a Rockford personal injury lawyer. Sideswipe Accidents – Trucks have large blind spots along each side, especially the right side, and may not see cars while switching lanes. Truck driver fatigue can also make a truck swerve between lanes. Highway Accidents – While most fatal truck accidents occur on rural roads about a quarter of fatal truck accidents happen on highways. Rear-end Accidents – Truck breaking is a major factor in rear-end accidents involving trucks. According to the Insurance Institute for Highway Safety, loaded tractor-trailers take 20-40 percent farther than cars to stop, and the discrepancy is greater on wet and slippery roads or with poorly maintained brakes. Fatigued Driving Accidents – The Federal Motor Carrier Safety Administration (FMCSA) regulates the number of hours truck drivers may drive to ensure they are not operating their vehicles while fatigued. 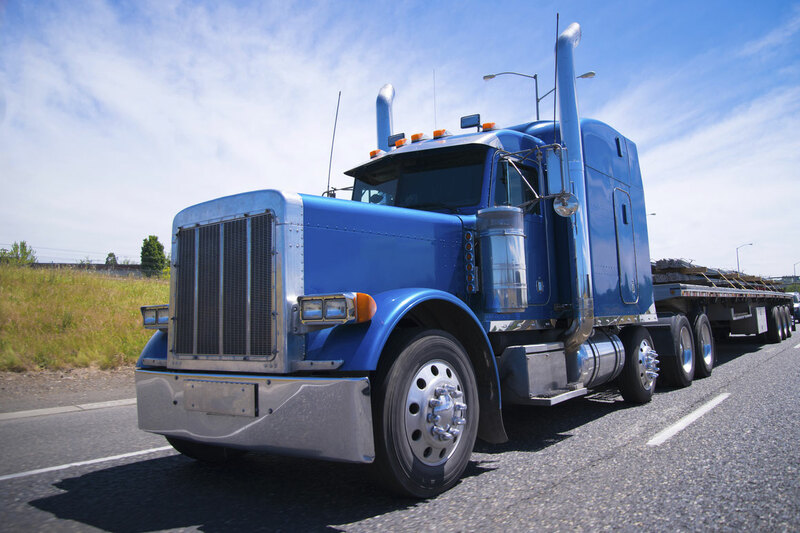 However, whether its pressure from the trucking company to make a delivery on an unreasonable schedule or just wanting to finish a route, truck drivers often drive tired which can result in slower reaction times and even drifting asleep at the wheel. Drunk or Impaired Driving Accidents – Intoxicated or drugged driving is normally dangerous, but the danger is increased ten-fold when a truck driver operates a commercial truck while impaired. Whether it’s a truck driver getting drunk at a truck stop or taking amphetamines to make it through a route faster, operating a truck while impaired can lead to catastrophic injuries. Truck accident cases are more complex than typical auto accident cases because the negligent party is a professional truck driver and multiple sources of law will apply including traffic rules, civil liability laws, as well as regulations from the Department of Transportation and the Federal Motor Carrier Safety Administration (FMCSA). The truck driver may not be the only party legally responsible for the accident and a thorough investigation must be conducted to determine whether any other parties are responsible such as the trucking company, the manufacturer of the truck, parts companies, mechanics and maintenance companies, other drivers, or anyone else who may be partly responsible. Truck accidents happen every day and trucking companies and their insurance providers have entire teams of investigators ready to work to ensure you don’t get fair compensation for your injuries. You don’t have to deal with this alone. If you or a loved one have been injured in a truck accident anywhere in the state of Illinois, call us at (815) 289-3209 to discuss your case with a Rockford personal injury lawyer.